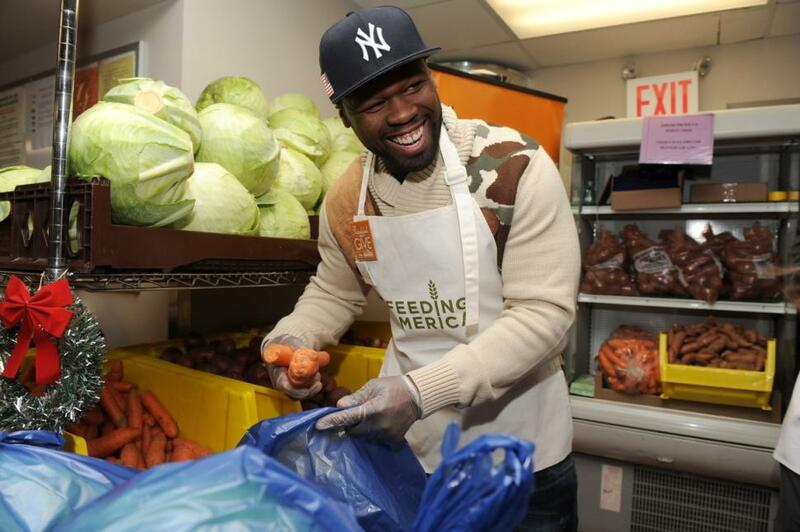 Infamous rapper 50 Cent took a break from pushing his frenemies buttons to pack up food items to needy families at The Food Bank of New York City’s Community Kitchen & Food Pantry in Harlem yesterday,NY Daily News reports. The “Animal Ambition” star volunteered alongside NBC’s Savannah Guthrie and model Karolina Kurkova. What I wouldn’t give to be a fly on the wall of whatever convo this surreal group eked out. Guess we’ll never know. But I do have the deets on the Food Bank of New York’s Feeding Program, for those itching to show some holiday giving. Email volunteer@foodbanknyc.org or call 212.566.7855 ext. 8350. Time (and of course, moola) is the best gift you can give these orgs.